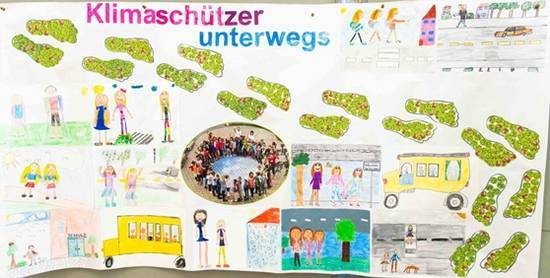 Again, in Austria a huge number of little climate protectors were diligently collecting climate - friendly ways, sticking Green Miles and painting or creating beautiful posters. 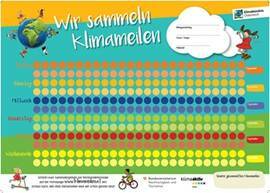 Finally we cordially say THANK YOU to 15,614 children from 132 schools collecting 360,088 Green Miles. Again this year the most diligent collectors have been honoured. 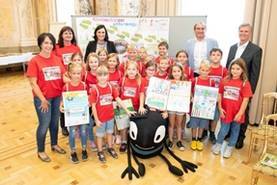 A small elementary school from Eastern Austria, the Volksschule Wolfau, has collected the highest number of Green Miles before summer. 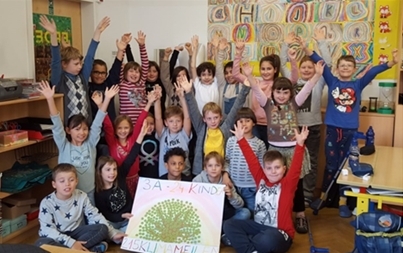 The school was received by the Austrian minister of Sustainability, Elisabeth Köstinger, in Vienna and was awarded a visit to the famous Vienna Zoo. One criteria for the success of the „Kids on the move“ Campaign is its durability. 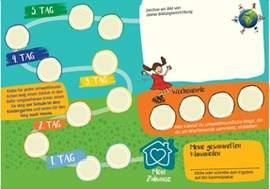 Still, throughout the years the feedback of plenty of participants in Austria induced us to adapt the materials and give it a new design – of course a design ensuring the recognition factor of the campaign! 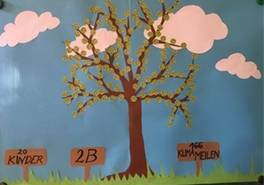 The sticker album has turned into a clearly arranged folder with 4 pages and additionally we offer an extra sticker poster for each class or group.